This unit does not support voltage transformation. 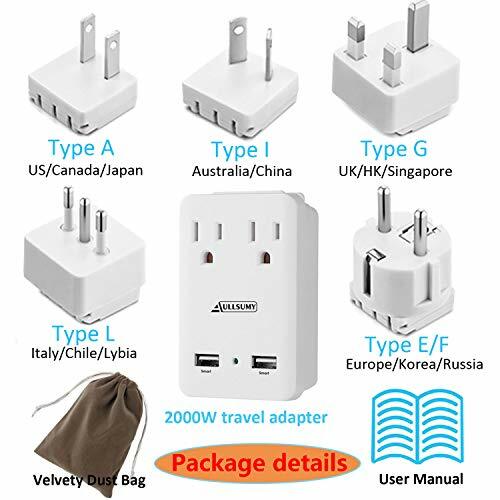 Device’s voltage rating must match a specific country’s. 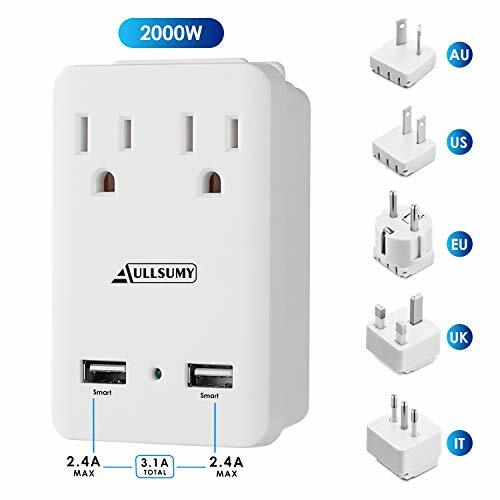 110V devices can’t be used in 220V or other higher voltage countries. 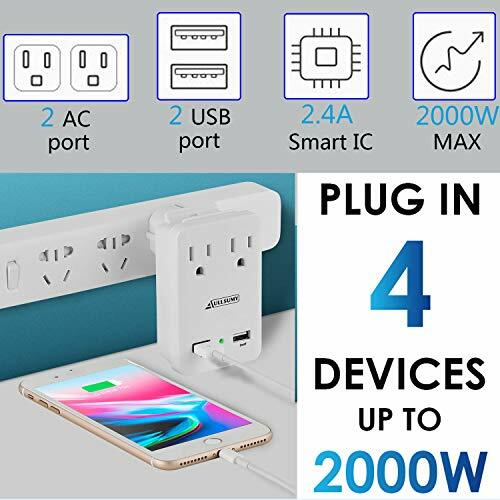 When simultaneously charging multiple devices, make sure the total wattage is less than 2000 Watts. 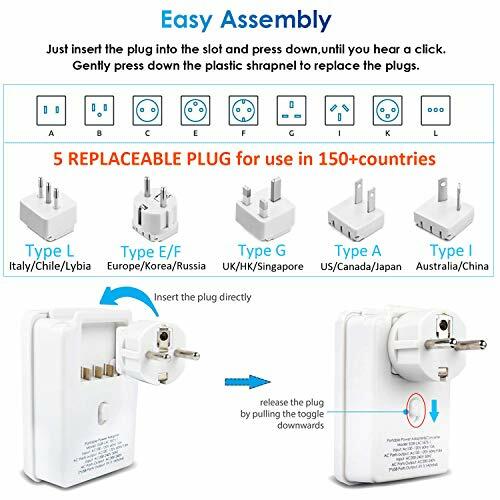 5 international adapters for use in 150+ countries. 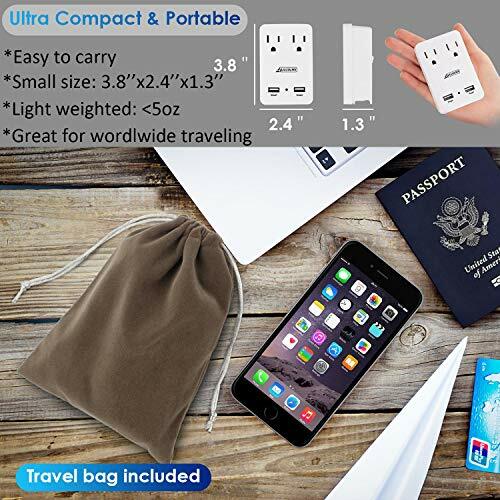 2 AC outlet and Dual smart USB ports, which enables simultaneous recharging for your dual voltage devices. 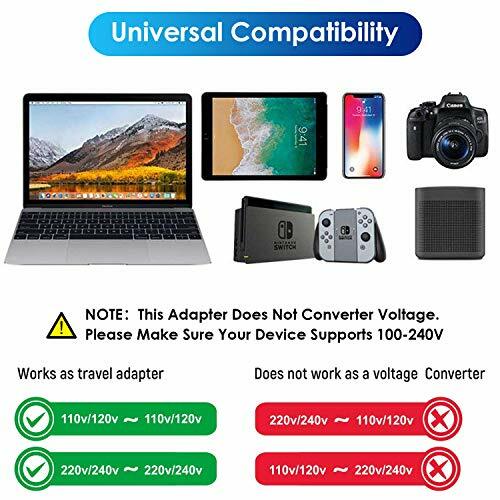 Most common dual voltage devices are iPhone, iPad, tablet, laptop, and camera. 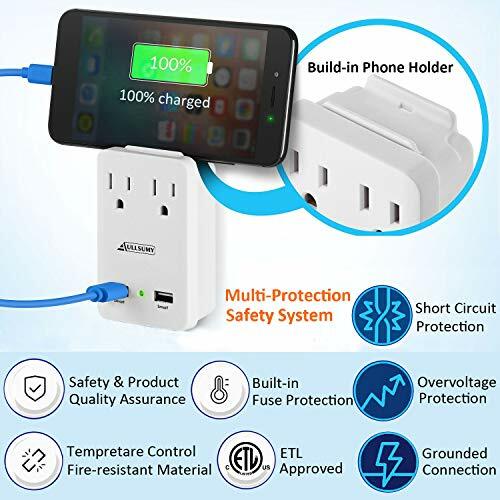 Compact design with Over current protection, Over load protection and Short circuit protection . TypeA:USA,Canada,Mexico,Japan,Philippines,Taiwan and some America countries. Type G:UK,Great Britain, Ireland, Malta, Malaysia, Singapore,Hongkong,Qatar,Pakistan etc. Type I:Australia,Argentina,China,New – Zealand etc. Type E/F:Russia,Germany,France,korea,Sweden,Finland,Norway,Spain and more EU countries.